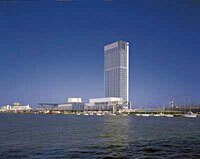 Hotel Nikko Niigata is the highest building on the Sea of Japan side and adjacent to Niigata convention center, redevelopment of the Bandaijima area at the mouth of the River Shinano. The whole building is harmonized as the luxurious cruise ship. 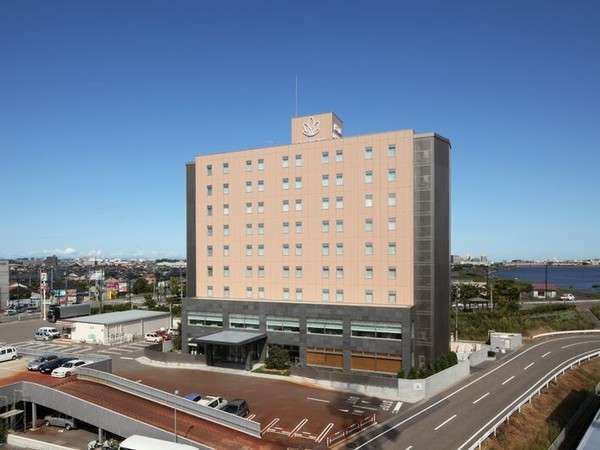 Hotel Okura Niigata is situated in an ideal location,in the very heart of Niigata but a quiet district and facing the River Shinano.Please enjoy the highest level of services with Okura,comfortable accommodation,outstanding services,excellent cuisine. 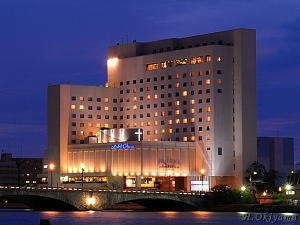 Bandai Silver Hotel is situated in the Niigata's urban center, Bandai City. It is a convenient base for business or sightseeing to Sado and shopping. Every room is equipped with shower toilet, broadband Internet access, hair-dryer and trouser press. 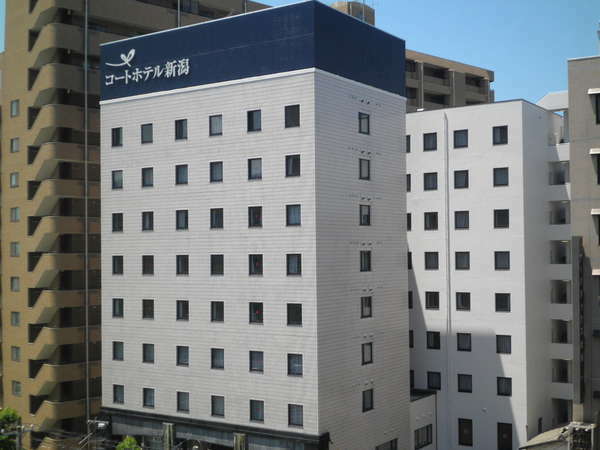 This hotel is situated in front of Niigata Station, and the location is ideal for business or sightseeing. It is the economical but comfortable hotel for all the needs for sightseeing and business travelers. It is the same level of the city hotel. At Niigata Toei Hotel, all rooms are equipped with semi-double beds. Enjoy the view of the city from the sky lounge. Internet access is provided free of charge. When using ADSL connection, please notify the front desk and rent modem and lan cables. 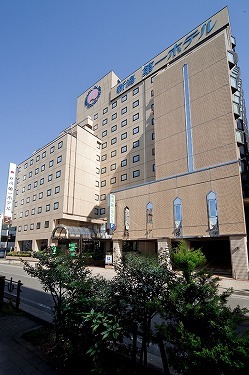 Hotel Sunroute Niigata is conveniently located for business and sightseeing, and just 3 minutes walk from JR Niigata Station. Please relax at the spacious guest room which is equipped with free internet connection and semi-double size bed. 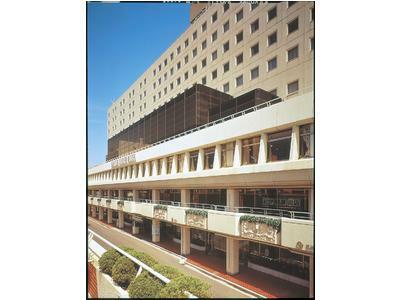 Hotel Diasmont Niigata is adjacent to Niigata's shopping district Furumachi. Guest rooms are spacious and brightly lit with indirect fluorescent lighting, and all single rooms feature a double bed and space for relaxation. 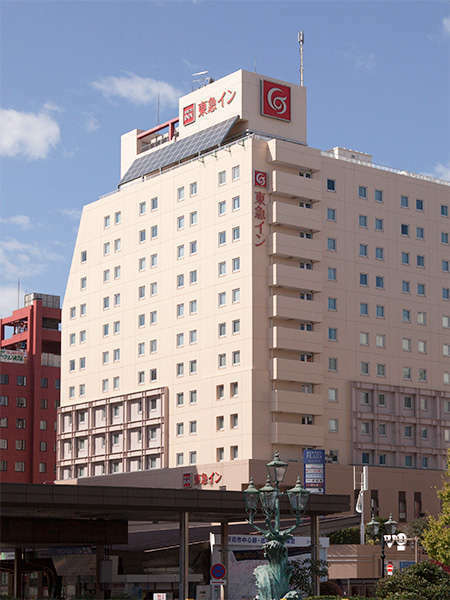 Hotel is conveniently located from Niigata station with only 1 minute walk, the best access for business and sightseeing. 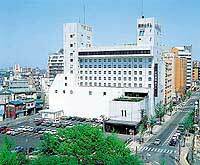 Hotel is renovated in 2013 to have large public bath for men and women and convenience store! Although located on 5 minutes walk from JR Niigata Station, It is a quiet place at night. This hotel is ideal for long-term stays for it is equipped coin laundry. The deluxe single room has the semi-double bed. Please enjoy the well sleep. 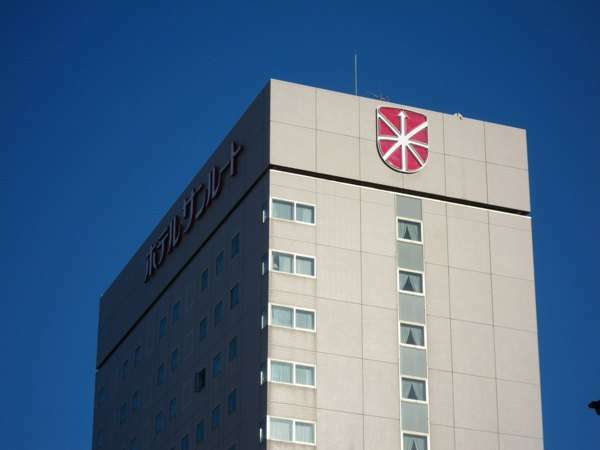 Close to Kurosaki IC, Niigata by-pass, Hotel Diasmont Niigata-Nishi is very convenient location by car. The concept is healing and the motto is guests' relaxation to be able to enjoy the travel comfortable. Conveniently located for business and sightseeing in the heart of the city with 5 minutes drive from Niigata station. Standing at the Bandaibashi Bridge and close to the shopping district, Sado steamship port, Niigata Airport and the Toki Messe.